Park City, UT – Women’s Ski Jumping USA (WSJ-USA) has named Julie Hickam as board president along with new board members, Laura Sankey and Blair Tomten. After the untimely passing of former president, Deedee Corradini last year, this new leadership will play a critical role in realizing Corradini’s vision to be the best female jumping program in the world while empowering young girls around the nation to become future Fly Girls. Hailing from Park City, Hickam is no stranger to ski jumping. Her daughter is a young promising jumper, an amazing accomplishment considering the family only recently moved to Park City from Louisiana. Hickam brings many years of volunteer and board service, sitting on several non-profit committees and boards in her previous community and most recently, working with the Park City Nordic Ski Club, where she was named the 2014 Volunteer of the Year and was recognized for her volunteer work by the U.S. Olympic Committee. She also volunteers for Park Silly, the Weilenmann School of Discovery, and recently ran YSA’s Get Out & Play Program. Hickam brings a solid business and marketing acumen with several years of experience in the title and real estate industry, managing online advertising with National Title, Stewart Title, Berkshire Hathaway, Coldwell Banker, and Crye-Leike. When she is not actively involved in the community, Hickam enjoys spending time outdoors with her family, and vacationing at the beach as often as possible. 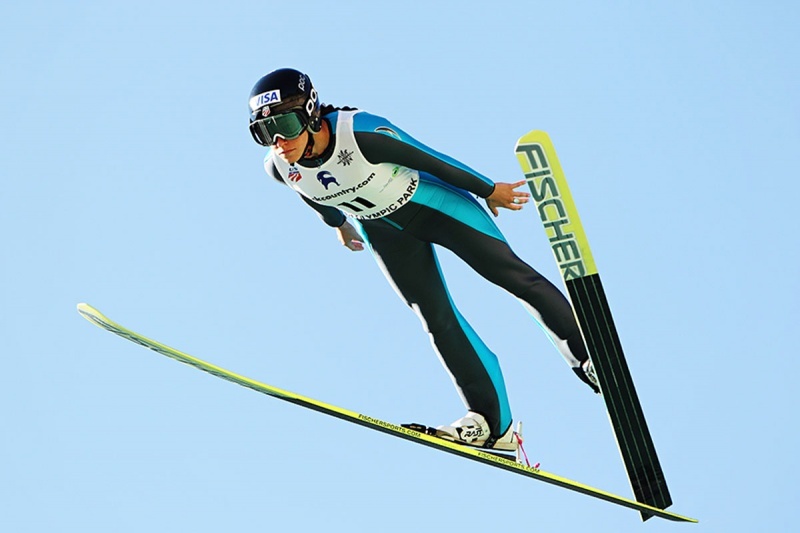 As WSJ-USA’s new board secretary, Laura Sankey, of Steamboat Springs, Colo., also brings a deep connection to ski jumping. Her daugher Logan Sankey was one of WSJ’s first Fly Girls and is now a rising star on the national team with an upcoming spot in Junior World Championships and Youth Olympics. Sankey brings a passion for people, ideas, and sound strategy with a successful career in brand building, sales and marketing strategy. Her extensive corporate experience includes training at Procter & Gamble; and leadership postitions at Coors Brewing Company, Qwest Communication (now Century Link), and the Green Bay Packers. Sankey also has experience in the outdoor retail and technology industries. Finally, new board treasurer, Blair Tomten of Salt Lake City, has been a member of the ski jumping community for over 25 years. She has been a ski jumping competitor and a coach. She is the current Chairman of the Officials Sub Committee for USSA, and is in the last year of training to become one of six FIS ski jumping judges for the USA. Tomten has represented the USA in international competition in ski jumping as well as in skeleton. Originally from Eau Claire, Wisconsin, Blair moved to Park City nearly eight years ago. She has helped WSJ with fundraisers and a Women’s Continental Cup Competition over the years she has been here. She is also accomplished on the academic front with a B.S. in Civil Engineering from the University of Minnesota, and is currently working as a civil engineer for Lochner in Salt Lake City.